Courtyard - Queen's Hall. The home of the performing arts community. 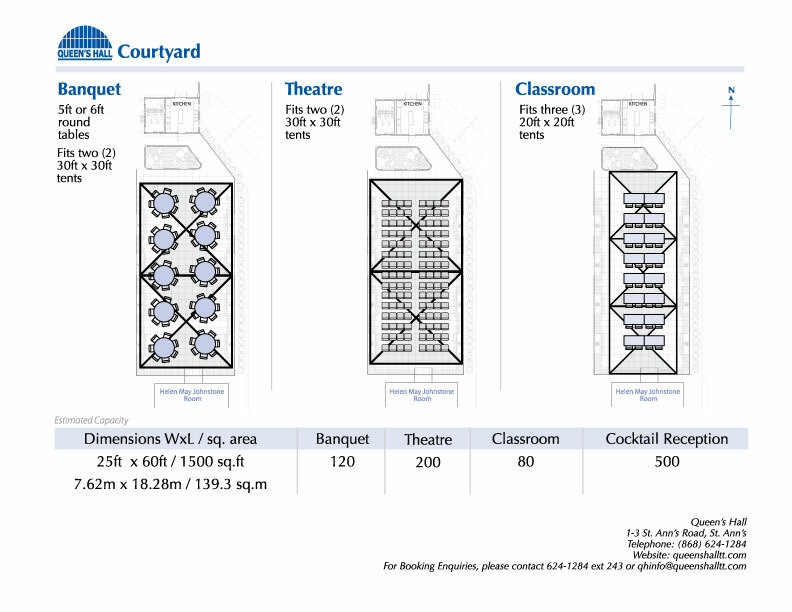 The Queen’s Hall Courtyard is the ideal venue for Cocktail Receptions, Product Launches or open-air Banquet Dinners. Amenities include cobbled tiled flooring, access to an external kitchen and adjacent parking facilities for guests.